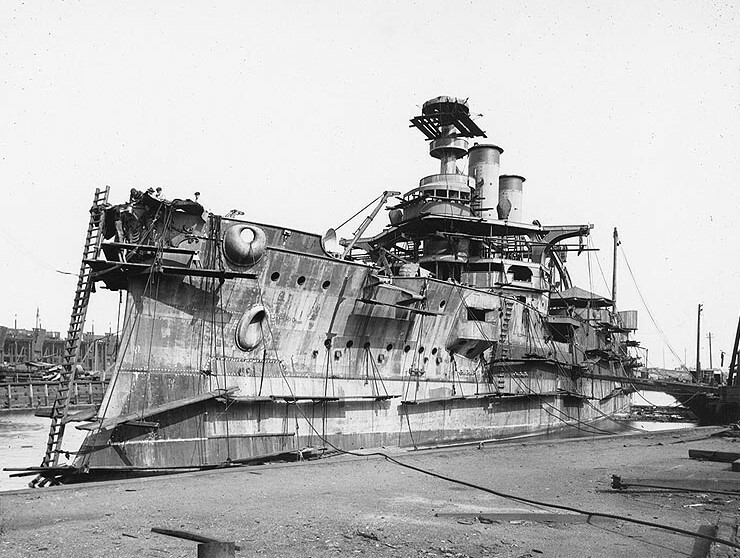 1906: Idaho fitting out at William Cramp, Philadelphia, Pennsylvania. 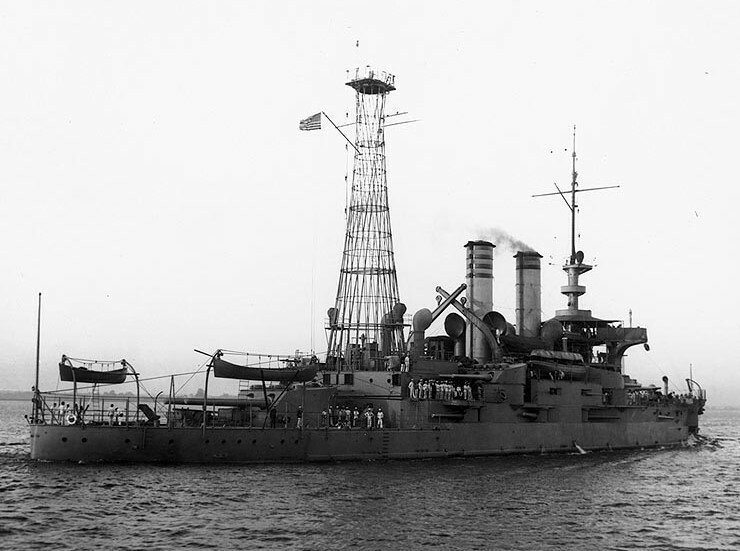 September 14, 1908: USS Idaho having been refit with a cage mainmast. 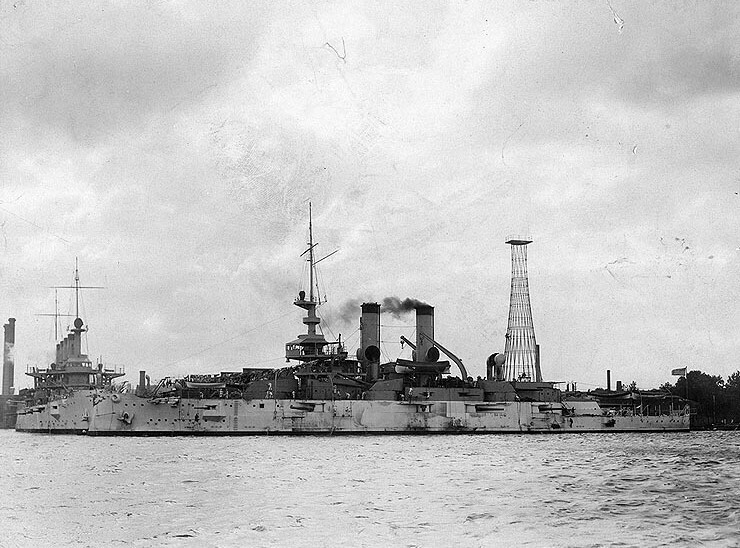 July 25, 1909: USS Idaho, location unknown. 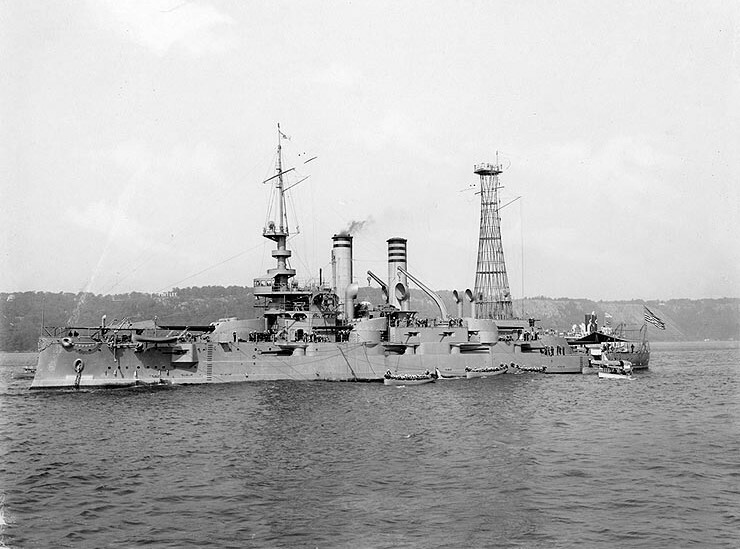 1909: USS Idaho seen in the Hudson River off Fort Lee, New York. 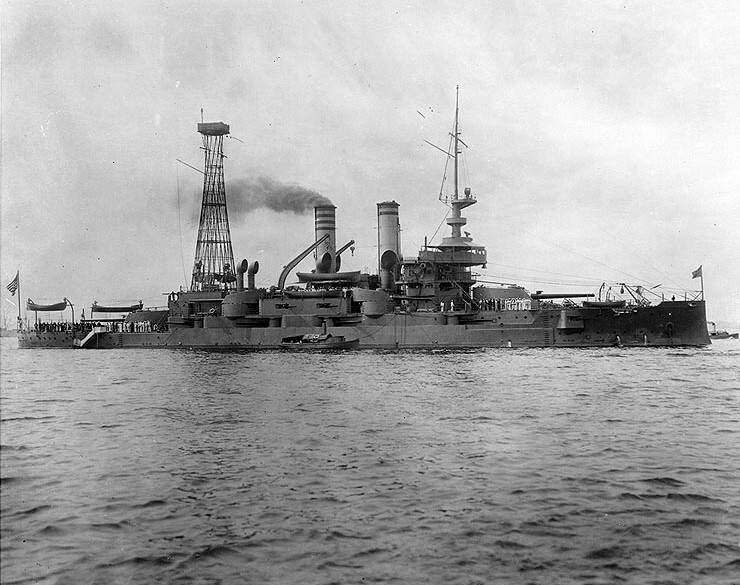 1909: USS Idaho, location unknown.